Art meets fashion in LA's Eastside. Abercrombie crop top (just seen here), Zinke eyelet skirt (similar here), Vintage hat, Derek Lam sunglasses, Julian backpack c/o Rebecca Minkoff, Forever 21 platforms (similar here). Shot by Isaac Lacey at ProjectionLA. In New York, everywhere you turn seems like its own living art installation. The buildings are buried in history, their facades each whispering something about the past if you care enough to listen. The walls and sidewalks are equally alive with marks old and new: faded graffiti, ads, posters. Layers of meaning embedded into otherwise lifeless concrete and brick. Los Angeles doesn't have the same flair to me; It's a newer city, more spread out, more clean. Which is why when I heard of ProjectionLA, artist Vincent Lamouroux's public art installation off of Sunset Ave, I was immediately interested and knew I had to stop by. Luckily, Isaac was happy to play tourist with me, so we drove out there after brunch one morning to walk around and take some snaps of the disruptive and somewhat eerie setting. If you're in the area, I highly recommend checking it out. Even though the weeds and shrubs have grown out the cracks and the dust has accumulated, eviscerating the impact of the original whitewashed property, it's almost as though the installation has taken on a life of its own, slowly deteriorating and being eaten away by nature over time. Regardless, it's definitely worth at least a drive-by! Gorgeous! 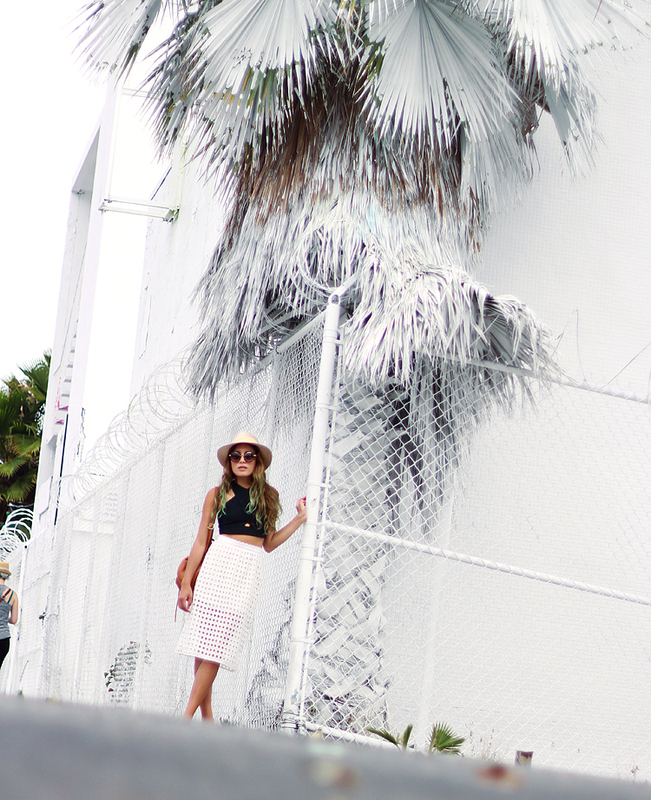 Love the skirt and the sunnies are so cool! I love your skirt and top! Great outfit, that skirt is so perfect for hot summer days! I’m obsessed with your skirt - so pretty and unique! I love the accessories you chose too. You look amazing. He\u0027s also of conspiring to smuggle heroin into the United States and money 2013, he was named \"Public Enemy No. Prohibition era crime boss Al Capone. Is still celebrated folk songs and is said to have enjoyed deep protection from humble villagers bff shirts the rugged hills of Sinaloa and Durango where he has hidden from He is also thought to have contacts inside law enforcement that him evade bachelorette shirts capture, including a near miss in February 2012 in the Baja California resort of Cabo San Lucas just after an international of foreign ministers.